Show allegiance to their favorite Game of Thrones houses! Dark Horse is proud to showcase a collection of sigil magnets, measuring 2 1/4-inches tall. Each is produced in full color and bold clarity and packaged individually in a polybag with backing card. 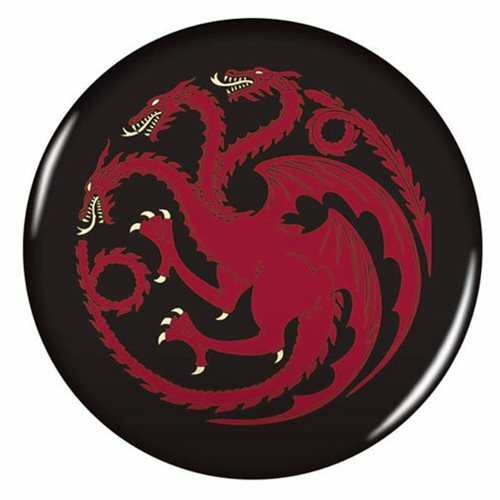 We know you're going to love the Game of Thrones 2 1/4-Inch House Targaryen Magnet!